Below is a snap shot from many years ago. These three girls were the beginning for CHRIS-DI'S cockers and while all three have passed on now, they have left their paw prints on our hearts. 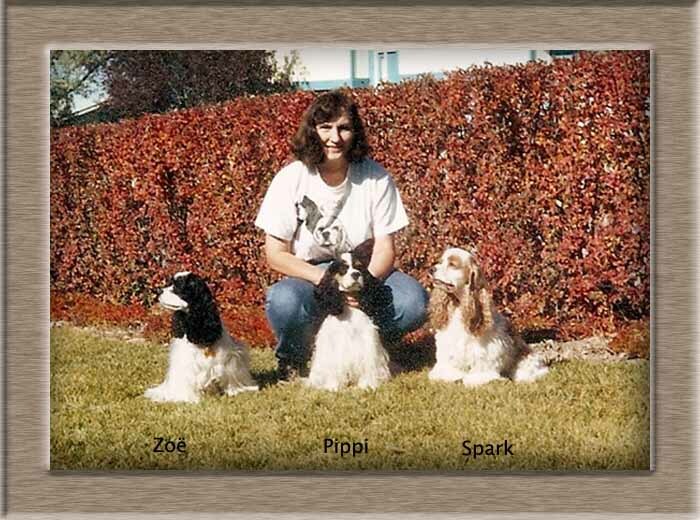 Spark was our spunky obedience dog while the other two were partially into performance but also the foundation for all the dogs we have bred so far. You will find them at our link, The Past, and from there you can see their individual pages. In their own way, each one was the perfect cocker spaniel.